Mr. Beri's ability to creatively and strategically promote product lines and services to diverse markets has made him a leading figure in today's fashion world. Mr. Beri studied in Budapest, Hungary at the Allami Penzero Academy, a prestigious European school specializing in all aspects of jewelry design, manufacturing and marketing. Subsequently, Mr. Beri apprenticed at Creations at Haute Joailler in Paris, France, during which time he worked on collections for Cartier,Tabbah, and Van Cleef & Arpels. His achievements include exclusive jewelry design and developing the demanding technical skills for instructing, engineering, and manufacturing successful products and product lines. Jeffrey returned from Europe and established a successful record of generating synergistic relationships with up-scale retailers such as Neiman-Marcus, Saks Fifth Avenue, Barney's and Bergdorf Goodman. His MicroCord brand of jewelry is one of his trademarked widely commercially successful integration of technology and fashion. 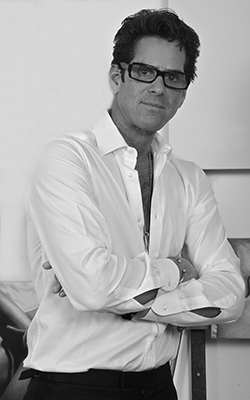 In his almost decade long role in charge of production for David Yurman, Jeffrey was responsible for the manufacturing, development and design for the David Yurman brand on a global basis. He was strategically involved in short and long term brand building decisions including identifying and implementing fashion direction, sourcing and quality control. He is also a leading fashion pioneer creating jewelry for cause marketing initatives including building out upscale collections for Susan Rockefeller and Honora to benefit Oceana, Karatas to benefit Help USA and other leading brands through the Charitybuzz global community. Jeffrey Beri has three children, is fluent in French and Hungarian and is an instrument rated pilot. He is an avid animal activist involved in rescue operations throughout the United States.